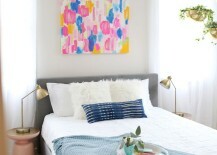 Here’s another shot of Elsie’s guest room, this time emphasizing the plants. 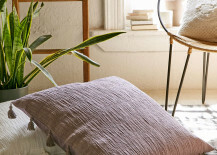 Houseplants are a wonderful way to introduce greenery into modern interiors, and we’re in the middle of a major houseplant revival. 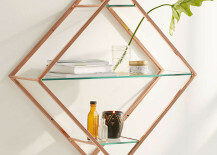 The more interesting the container, the better! 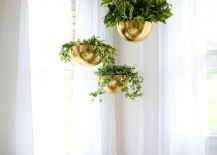 Check out this DIY version of the brass bowl hanging planters shown below. 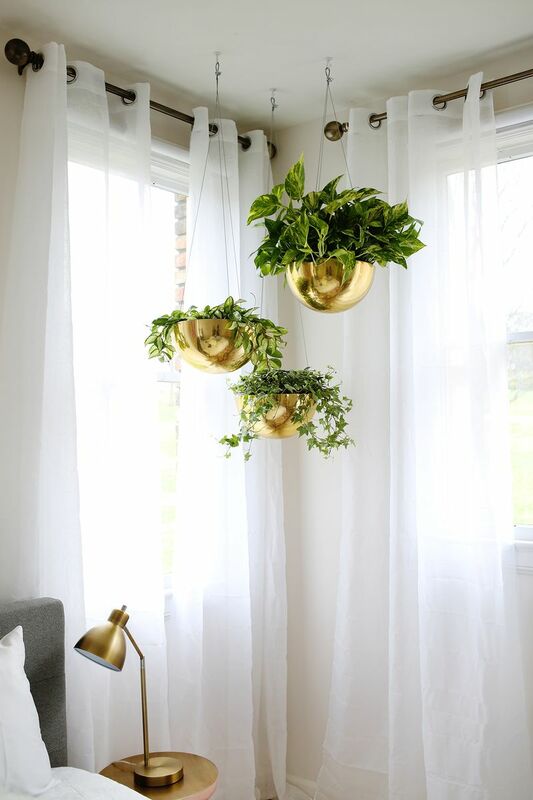 Plus, you can’t argue that plants improve air quality! 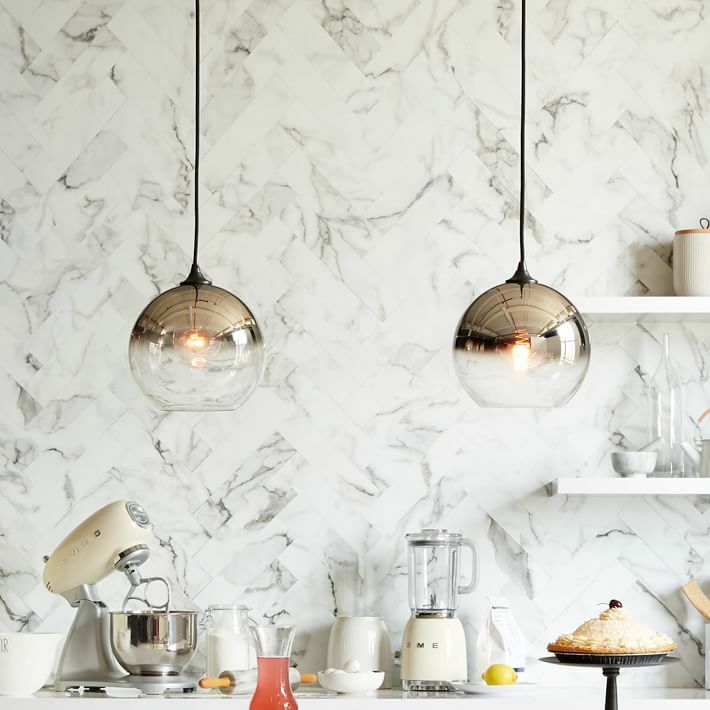 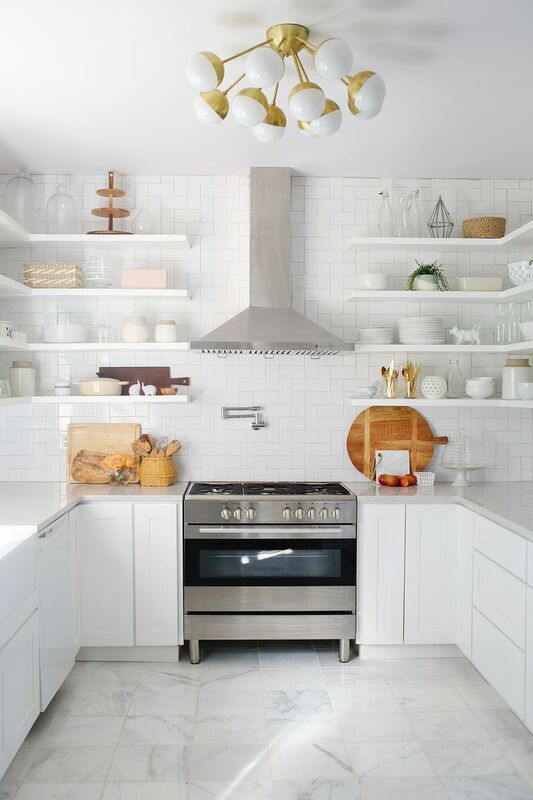 In one more gorgeous shot of Elsie’s home, we see the kitchen, which combines marble floor tile, a subway tile backsplash, and pops of pastel hues on open shelving. 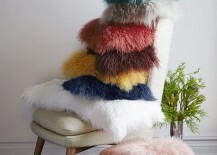 Have you noticed how pastels are increasingly being used to make a modern statement rather than a frilly one? 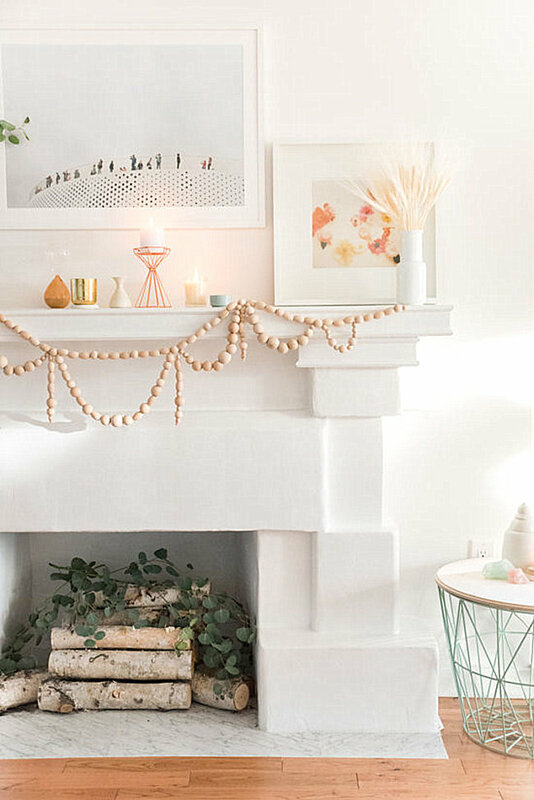 In another photo of the living room, this time from a Wood Beaded Garland DIY, we see earthy accents in light wood, as well as a display of interesting pieces (some of them geo) on a fireplace mantel. 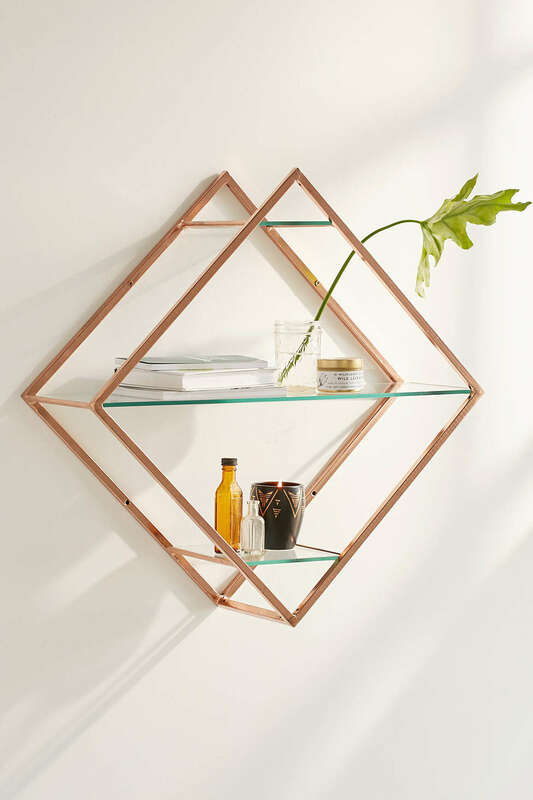 Geometric decor beautifully complements the modern style of the room. 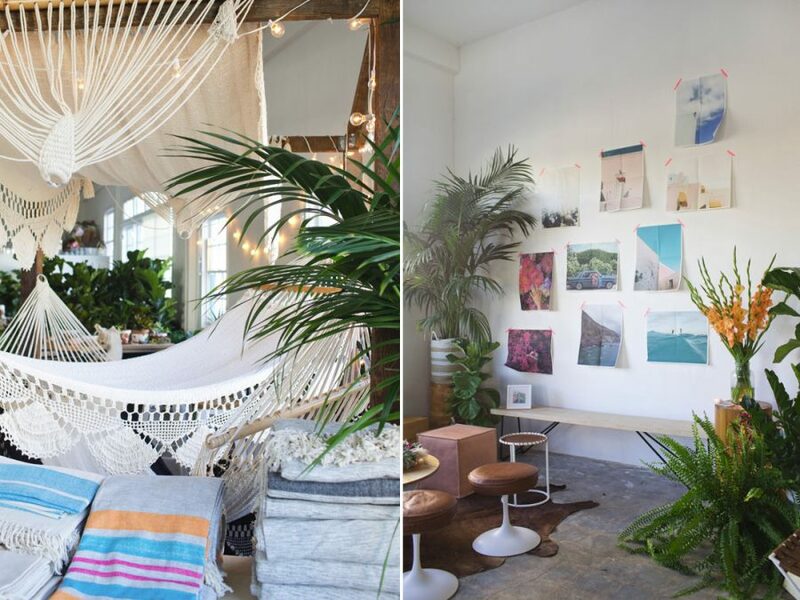 If only we lived in LA! 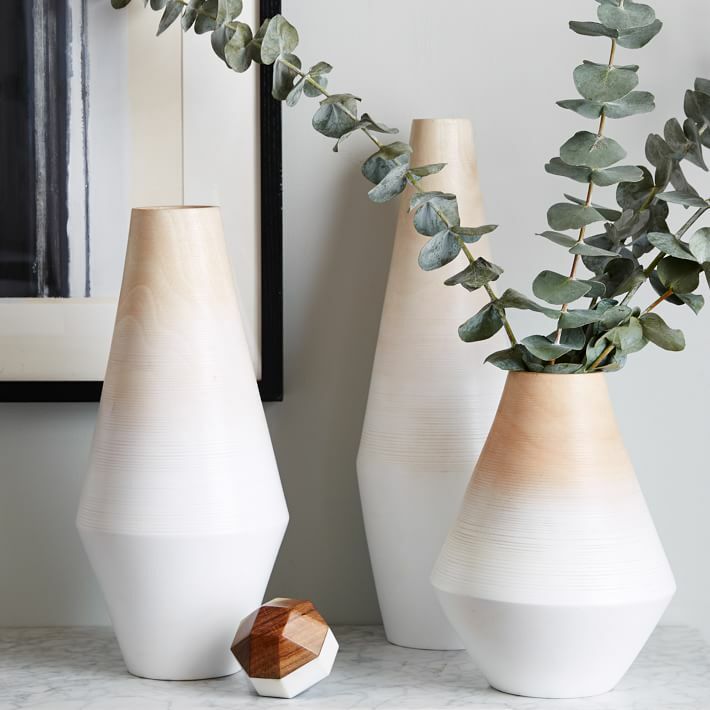 This fall, Bri hosted designlovefestival, which featured some amazing handmade merchandise, from Nicaraguan blankets to unique ceramics. 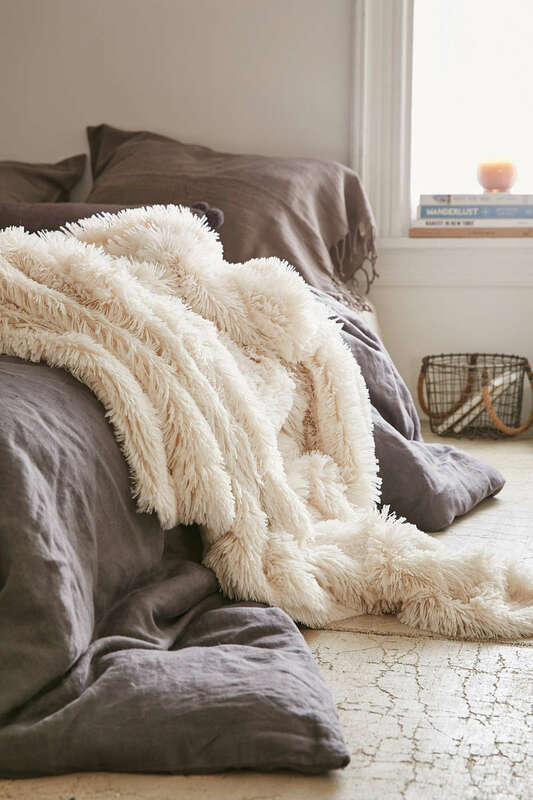 Talk about breezy style! 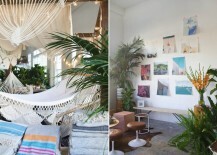 Don’t the hammocks below say it all?! 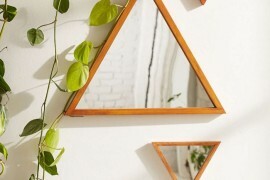 And those plants! 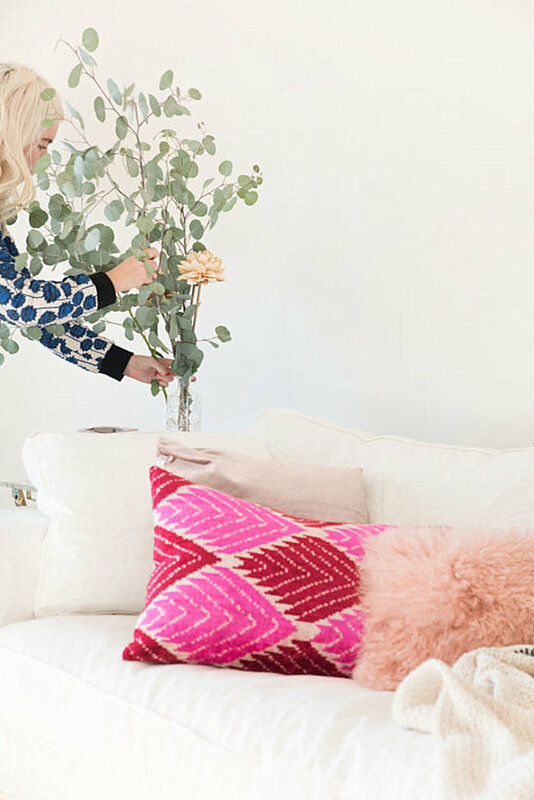 Let’s now shift from bloggers to retailers who celebrate breezy modern style, starting with Urban Outfitters. 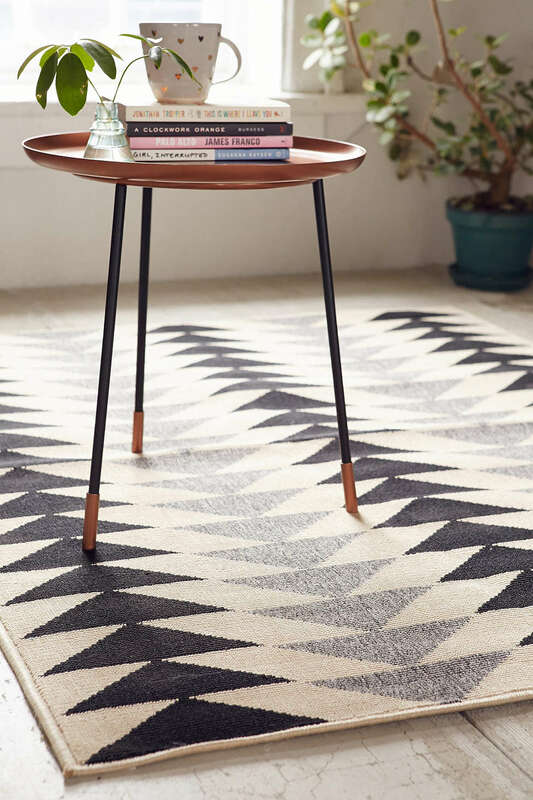 Since geo flair is a big part of the look featured in today’s post, we’ll start with this Modern Triangles Indoor-Outdoor Rug. 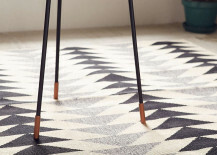 Not to mention, many of this season’s best-selling rugs are cream with black geo designs. 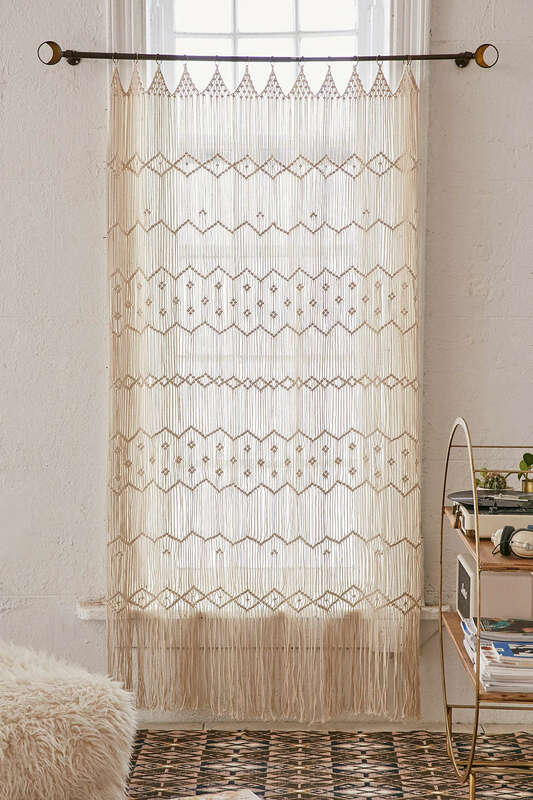 Wall hangings and tapestries are a big part of this edgy modern aesthetic, and this Magical Thinking Macrame Wall Hanging can double as a curtain. 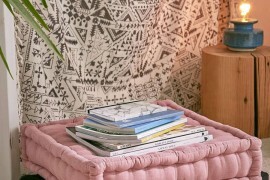 We also spy a shaggy ottoman! 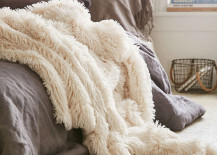 Urban Outfitters makes modern Boho style cutting edge and affordable. 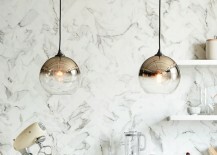 Plus, the brand’s product photography is filled with interesting design elements, including a plethora of white walls! 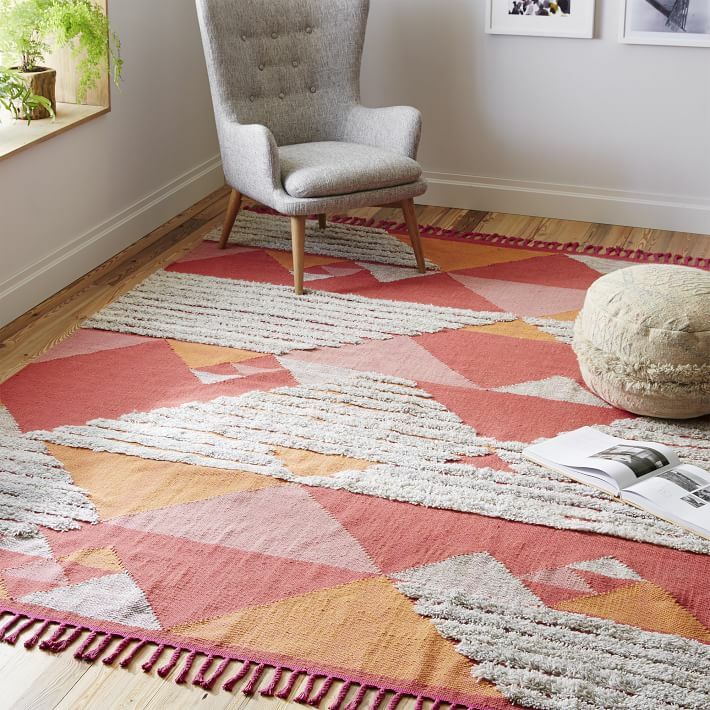 We end today’s post by featuring a few finds from West Elm, which offers a range of refreshing finds, including the Souk Wool Rug below. 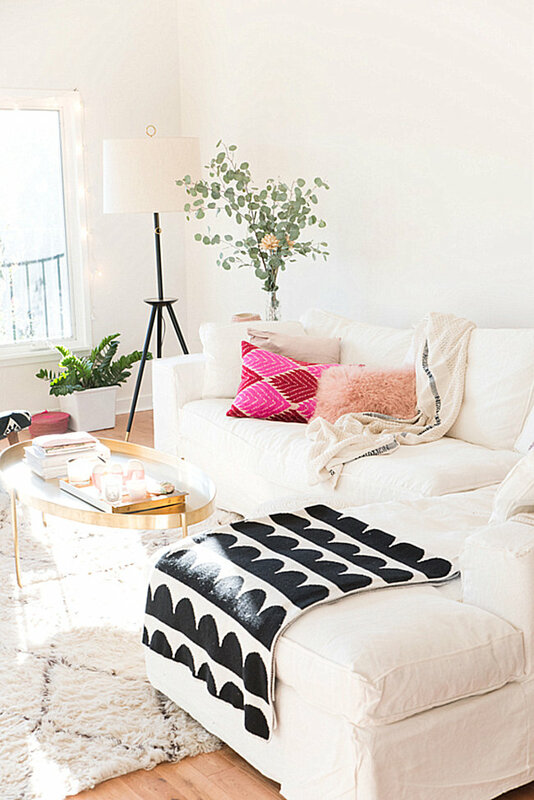 In fact, the “black zigzag on a fluffy cream rug” motif is one of the most popular, especially when it comes to the homes of design bloggers. 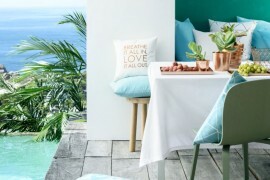 Isn’t it fetching against a backdrop of tropical foliage?! 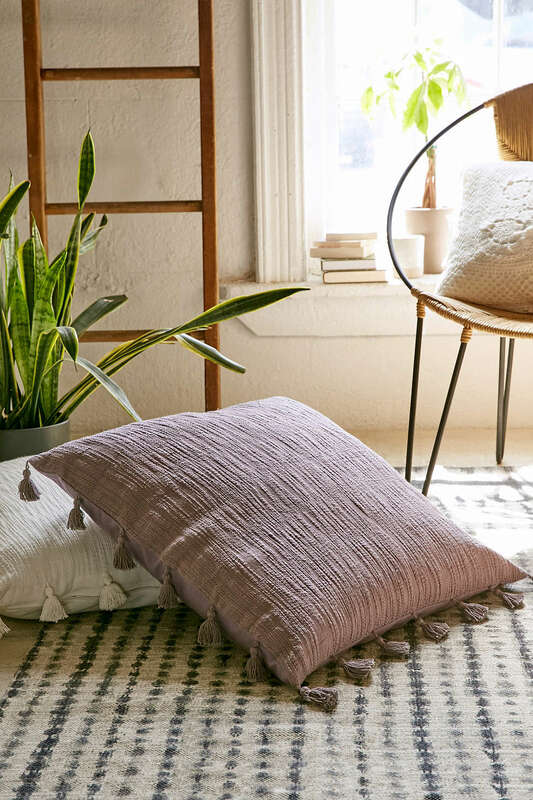 West Elm offers a range of Mongolian Lamb Pillow Covers, providing a way to add color and texture to your interior in one fell swoop. 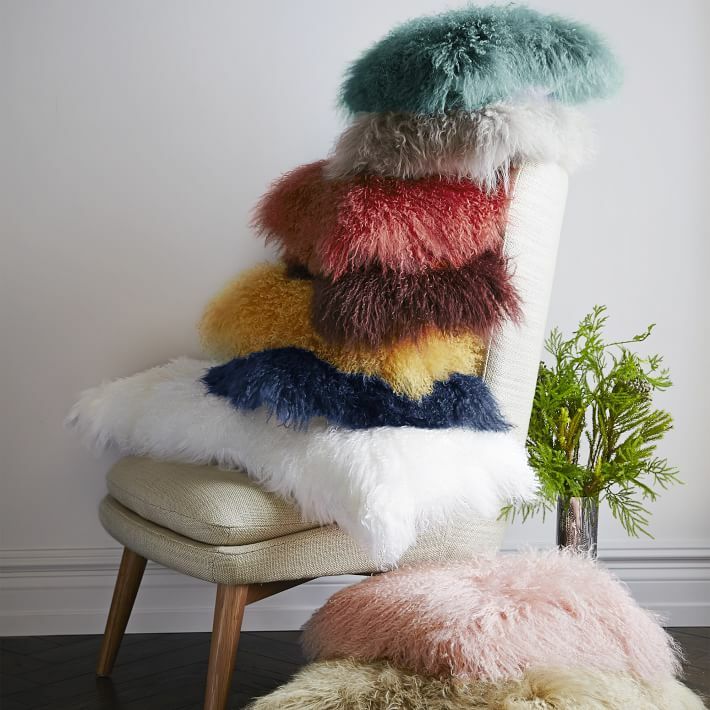 We continue to spot pink shaggy pillows, which combine one of the year’s hottest colors with a top design trend (a furry texture, of course)! 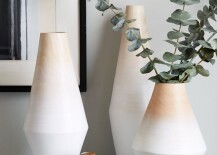 Completing today’s post is a collection of Modern Wood Ombre Vases, which combine a whitewashed finish with the warmth of wood. 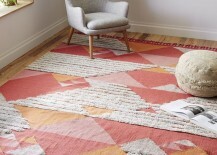 Not to mention, they showcase the power of geo forms! 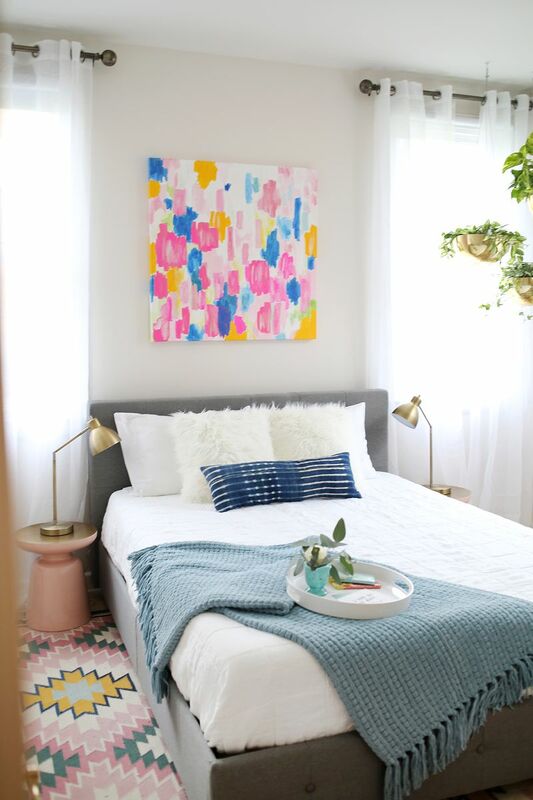 Are you a fan of breezy modern style? 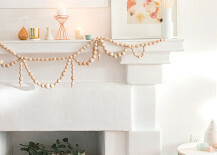 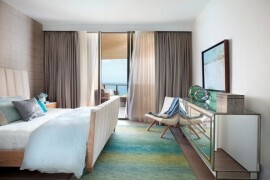 Keep it crisp with a backdrop of white, and add in touches such as textured pillows, pastel decor and metallic tones. 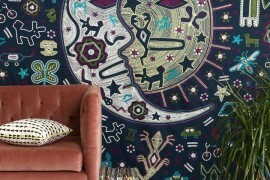 It’s eclectic design at its most interesting!